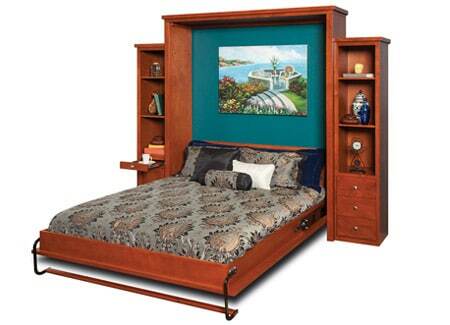 Murphy Beds of San Diego is pleased to offer The American Made Collection. 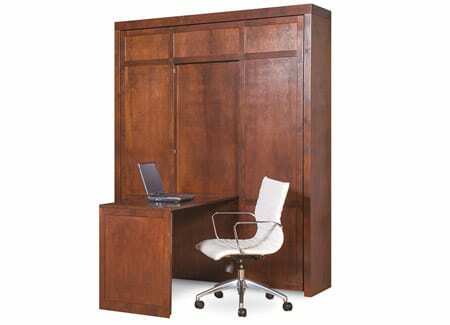 This collection embodies the finest quality Murphy beds available on the market today. We are the exclusive distributor of this collection, which includes models on our showroom floor as well as custom-designed wall beds created specifically for your needs. 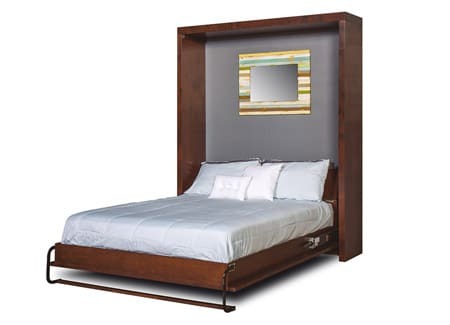 Why Choose American Made Wall Beds? For those consumers concerned with keeping their purchases within the US, these Murphy beds and wall bed systems are the ideal choice. But even if the national economy is not a major concern for you, there are plenty of reasons to opt for an American-made wall bed. At Murphy Beds of San Diego, we don’t believe in taking cost-cutting measures which may jeopardize the quality and safety of your wall bed. 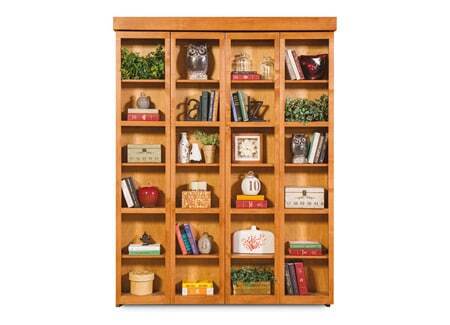 Unlike models manufactured in China, our American Made Collection uses North American-sourced wood. 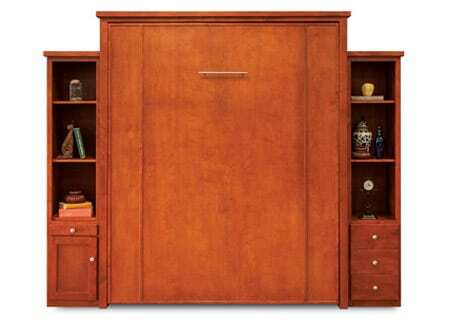 This means our Murphy beds are not susceptible to cracking, peeling and discoloration like inferior models. 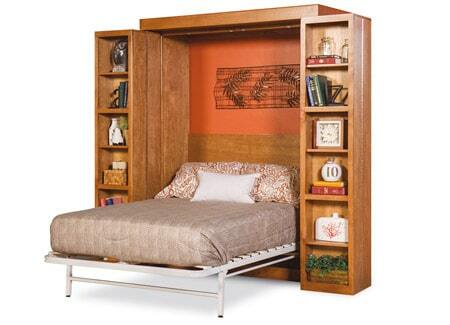 It also means that the wall bed mechanism is made with ultimate durability and safety in mind. If your home is lacking in space, you can easily create a guest room, office or both simply by installing a high-quality, beautifully designed wall bed in any room of your home. Our attractive American Made Collection is a wonderful addition to any style of décor and fits within any space constraints. Whether you prefer contemporary or traditional design, extra storage space or an area for work, guest accommodations or a frequently-used bed in a tiny home, our all wood Murphy beds are the ideal solution. When it comes to the safety of you and your family and the quality construction you expect, look to The American Made Collection from Murphy Beds of San Diego. We are proud to offer these innovative sleeping solutions made right here in the USA.